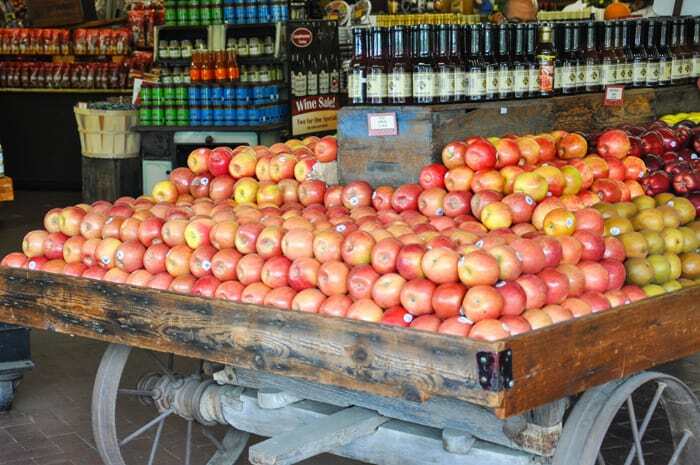 One of California’s most notable produce stands has grown into a popular destination for not only natives, but for those touring California from other states and countries. Conveniently located on Highway 152, it’s hard to miss if you are passing through from the central valley to the coast. Rich in agricultural history, Casa De Fruta is an essential location to add to your list of California sightseeing attractions. Casa De Fruta’s humble history begins with three teenage boys opening up a cherry stand to sell the fruit from their parent’s orchard. The prime location of the main thoroughfare from Pacheco Pass garnered a lot of attention, and business. It wasn’t too long before they opened more fruit stands and expanded the produce selections. Eventually, a restaurant was opened near the location of the first cherry stand, serving sit down meals to local farmers and passer-bys. Today, Casa De Fruta has expanded to a prolific setting that includes a scrumptious bakery, a sweet shop that features ice cream and custom chocolates, along with a generous selection of wines to taste and buy. The immense fruit stand boasts rows of fresh fruit and vegetables. Self serve bins are overflowing with raw nuts and dried fruit just waiting to be devoured. If you are in the mood for some entertainment, Casa De Fruta doesn’t lack in that department. A double decker carousel is the highlight of the grounds and is nestled between the in-house train depot and the spacious grounds. The “Casa de Choo Choo” takes passengers on a 2 mile ride through the orchards and you can even get a glance of historic Pacheco Creek. Kids love to get interactive with the vintage sluice and experience panning for gold, learning how local miners would unearth the valuable treasure. A few old relics from the farming industry are peppered thoughtfully around the grounds. Vintage tractors and early harvesting implements take you back to another era and help you appreciate modern comforts and technology. To learn more about what Casa De Fruta has to offer, please visit their web page HERE. You can even keep up with them on Facebook and discover new products and special events.